Thomas Custom Builders offers custom kitchens and baths, beautiful home additions, and quality craftsmanship with no compromise. The Thomas Custom Builders name is synonymous with spectacular workmanship—and yes, and we do mean spectacular work from start to finish. We don’t take shortcuts, and we don’t settle. Richard Thomas and David Holmes (affectionately known as Rick and Dave) are unwilling to accept anything else. Let Thomas Custom Builders help you make your renovating project a reality. Don’t compromise. We don’t. With over 17 years of experience in the remodeling industry, Bianco Renovations, LLC. specializes in Home-Additions, Kitchens, Bathrooms and Basements. Bianco is one of the most experienced remodeling companies in Northern Virginia. We are proud of our achievements and level of success. We know that the only measure of our success is the satisfaction of our customers and we continue to grow and thrive based on our repeat and referral customers. We are committed and determined to providing our customers with quality work while promoting an honest and reliable service. Bianco Renovations, LLC. provides high level of honesty and superior craftsmanship that surpasses the industry standard. Our customers are secure and confident choosing us to improve and protect their valuable investment. If your project is big or small your 100% satisfaction will always be our priority. Bianco Renovations's goal is to not only help you design and build your remodeling project, but to make the process easy and enjoyable for you. We are a full-service design-build company fully licensed and insured. 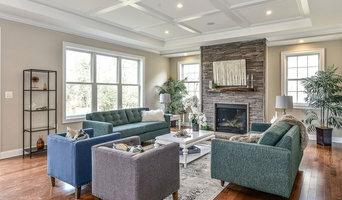 Ziberty is a custom home builder in the Northern Virginia and Maryland markets of the DC metro area. Ziberty is the only builder in America offering guaranteed pricing online for a custom home. Ziberty's goal is to provide the best possible purchase and building experience for anyone looking to build a new home. We are focused on increasing transparency in all aspects of the experience, especially in pricing and in the homes that are built for our customers. We know that if we make our customers' lives easier in one of the biggest decisions and purchases in their lives, then customers will reward us with their business. Ziberty believes that honesty and doing the right thing, regardless of business impact, are the most important service we provide. Faber Custom Builders specializes in quality custom construction with a personal level of detail and craftsmanship in every project. We tailor our style and approach to meet each individual client's needs and desires to craft a stunning top quality project. Our customers are continually grateful for the level of communication and guidance along with the frequent consultation throughout the project to ensure we meet or exceed every expectation. We will not build a project without going to great lengths to make sure we have explored and learned what the project means to you and how you want it to turn out. No details are too small to be considered even on the largest projects because they make the project uniquely yours, which is our goal. Custom top quality craftsmanship that is uniquely yours.